Bishops Commission for Pastoral Life Chairman Bishop Terence Brady. Photo: ACBC. 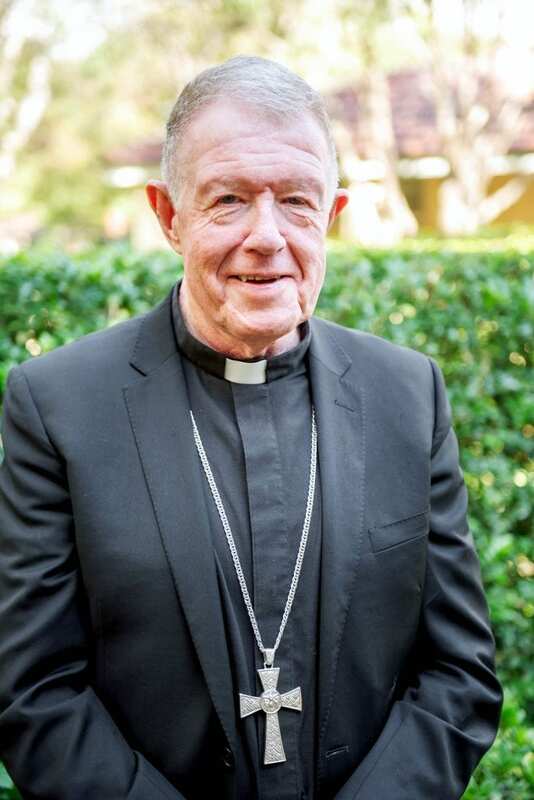 The Australian Catholic Bishops Conference (ACBC) has urged Catholics in Australia to listen to the Holy Father’s message for the second World Day of the Poor. The World Day of the Poor will be celebrated this year on 18 November. In a letter to clergy throughout Australia, Bishops Commission for Pastoral Life Chairman Bishop Terence Brady encouraged all Catholic communities to be involved and respond to the theme of the day, “This poor man cried, and the Lord heard him”, taken from Psalm 34:7. “The Holy Father notes that there are many different forms of poverty and he asks us to consider: who are the poor?” Bishop Brady said. Bishop Brady said Pope Francis invites us to make concrete the words of Psalm 22:27, “That the afflicted shall eat and be satisfied”. Bishop Brady encouraged Catholic communities “to sow the seed of this idea of inviting parishioners and the homeless to share a meal after Mass on or around 18 November”. “The Pope calls us to celebrate in the spirit of joy for the rediscovery of our capacity for getting together, stating that ‘Praying together as a community and sharing a Sunday meal is an experience which takes us back to the earliest Christian community’,” he said. The Pope’s message for World Day of the Poor was signed on the feast day of St Anthony of Padua, the patron of the poor on 13 June. In his message, Pope Francis took the words of the Psalmist and said those words “become our own when we are called to meet the different conditions of suffering and marginalisation lived out by very many of our brothers and sisters whom we are accustomed to label generically as ‘the poor’”. “This Psalm is an opportunity for us today, immersed as we are in the many different forms of poverty, to understand who is the true poor on whom we are called to look upon to hear their cry and recognise their needs,” the Pope said. The Holy Father also said that “no one can feel excluded from the Father’s love, especially in a world which often elevated riches as the primary objective and leads us to isolation”. Breaking down on the theme of this year’s World Day of the Poor, Pope Francis said the Psalmist is using three verbs to characterise the attitude of the poor and his relationship with God. “First of all, ‘to cry’; the condition of poverty cannot be expressed in a word, but becomes a cry which crosses the heavens and reaches God,” he said. “On a day like the World Day of the Poor, we are called to make a serious examination of conscience to understand if we are really capable of hearing them. “What we need in order to recognise their voice is silence in which to listen. If we speak too much ourselves, we will be unable to hear them,” Pope Francis continued. The second verb, as Pope Francis explained is ‘to answer’ meaning that we are not only called to listen but also to answer to the cry of the poor as for how God answers them by way of salvation. “The World Day of the Poor wishes to be a small answer which the whole Church, spread throughout the world, gives to the poor of every type and in every land lest they think that their cry has gone unheard,” he said. The third verb that the Psalmist is using is ‘to free’ and “God’s liberating action is an act of salvation towards those who manifest their sadness and distress to Him”. “To offer the poor a “broad space” is to liberate them from the “snare of the fowler” (Psalm 91:3) and subtract them from the trap hidden on their path so that they might proceed expeditiously and look serenely upon life,” Pope Francis said. Quoting Evangelii Gaudium, Pope Francis said God’s salvation begins “with concrete and tangible proximity that a genuine path of liberation emerges”. “Each individual Christian and every community is called to be an instrument of God for the liberation and promotion of the poor, and for enabling them to be fully a part of society. “This demands that we be docile and attentive to the cry of the poor and to come to their aid,” he explained. Reported by the Vatican News, after reciting the Angelus on Sunday, Pope Francis said that a First Aid Station will be set up in St Peter’s Square where people in need able to receive medical care. “I hope that this Day will encourage greater attention to the needs of the least and marginalised,” he said. The Holy Father concluded his message by inviting priests, deacons, as well as religious and lay movements to “make tangible the Church’s response to the cry of the poor, and live this World Day as a special moment of the new evangelisation”. “Let all of us feel on this day that we are debtors towards the poor because stretching out our hands reciprocally one to another, a salvific encounter be created which strengthens our faith, renders our charity active and enables our hope to continue secure on the journey towards the Lord who is returning,” he concluded.